Personally, she led me to the understanding and beauty of poetry (when I watched Clinton's Inauguration). Before that, it was Edna St. Vincent Millay's Renascence. I remember watching her speak and feeling that I was being altered, almost genetically. 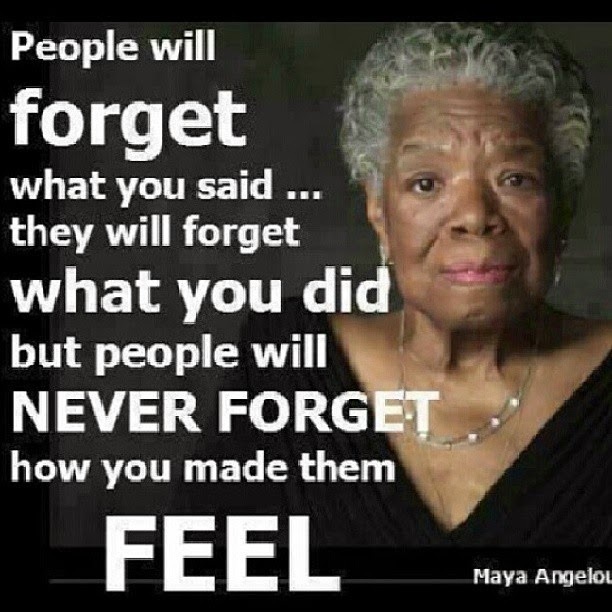 Maya Angelou was like watching a lyrical dance or hearing a perfectly balanced symphony. She was all of the senses compiled into one beautiful human and teacher. Labels: literature, Maya Angelou, poetry, quote, R.I.P.